Relax in the tranquil surroundings of the Bobbejaan Dam Luxury Tented Chalets and allow the layers of fatigue that city life deposits deep in your soul to fade away! Enjoy a relaxing sundowner from your exclusive tent patio whilst watching some of our abundant game drinking from the cooling waters of Bobbejaan Dam. 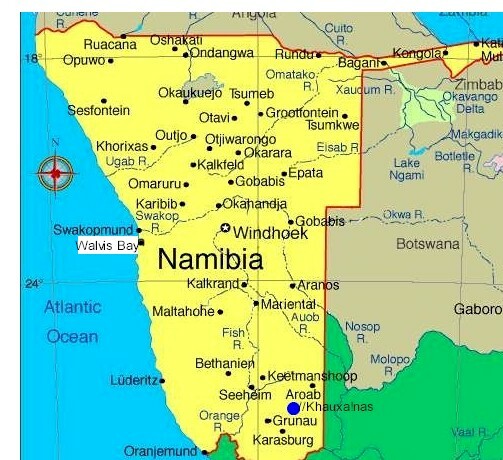 Situated just 70 km's from Windhoek taking the road off the Windhoek / Gobabis Highway, the Bobbejaan Dam Chalets are perfectly situated for that much-deserved getaway. Let the Wright family welcome you to their 6500ha game proof fenced mixed cattle and game farm for an experience that will guarantee you wanting more of the same! 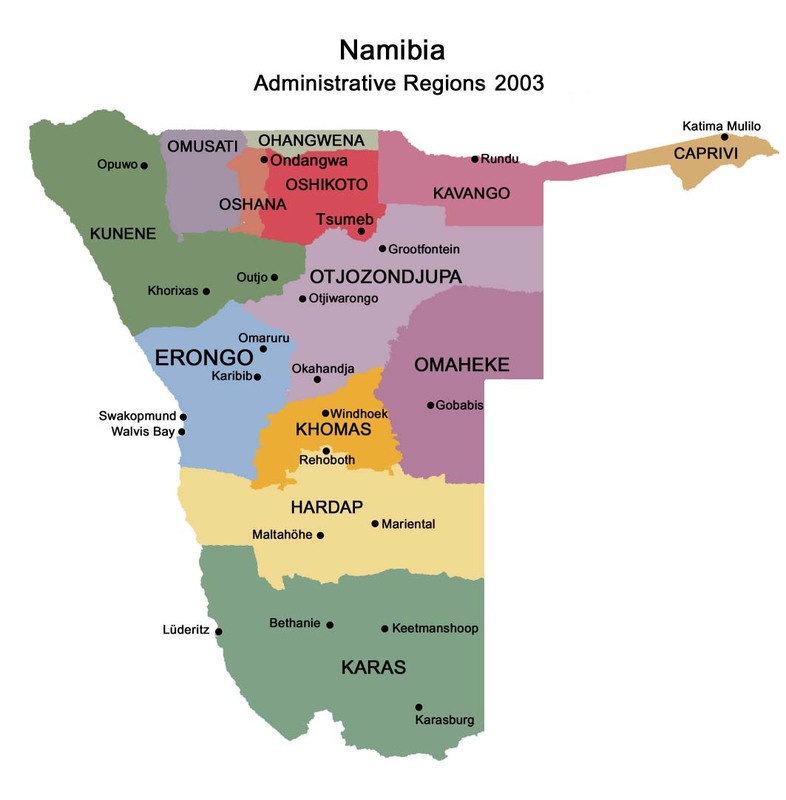 Come and experience the vast, open valleys interspersed with rolling hills of the Namibian Central Highlands, the home of the great Nossob River. By day, enjoy the variety of game and birds abundant on our farm; and at night, be lulled to sleep by the sounds of nature. Game Viewing Drives: For only a nominal fee, you will be welcome to join us on one of our twice - daily game viewing drives where you will be able to see Giraffe, Eland, Kudu, Hartebeest, Oryx, Zebra, Waterbuck and Springbuck amongst others. If you are lucky, you might even get to see a Leopard or Cheetah! Hiking Trails: Those of you who enjoy nature on foot, feel free to follow any of our demarcated hiking trails through the farm. They range from easy to moderate and are suitable for anyone. 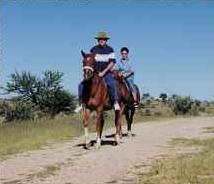 Game Viewing on Horseback: For the more daring of you, game viewing outings on horseback can be arranged. 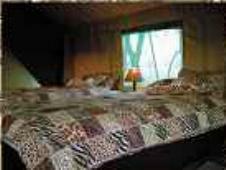 This facility is, however, by prior booking only and limited in the number of persons that can be accommodated. Birdwatching: For the avian amongst us, you can boast about spotting a wide variety of bird species, ranging from the majestic eagles to the raucous vultures to the minuscule LBJ's. Fishing (depending on availability): For the man (or woman) who enjoys fishing, or even those who just want to look busy, we offer a variety of fish on the farm, including Bass, Carper, Barbel and Yellowfish. 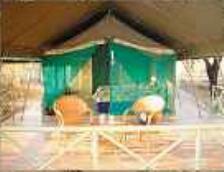 Accommodation: Bobbejaan Dam Luxury tent camp consists of 5 x 2 bed luxury tents. Each tent has it's own gas fridge; and bathroom with toilet and shower, hot water is provided by gas geyser and electricity is provided from solar panels. Each tent is self-catering and limited supplies are available from the farm shop or tent camp supervisor. 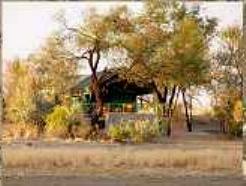 Game Drives: We offer two game drives per day, one from 08h00 - 10h00 and the other from 17h00 - 18h00. Drives will only be held if 3 or more persons wish to partake. Horseback Game Viewing: Limited to 5 persons. Duration approx 3 hours.